An easily handled sling that reduces stress on the attendant's back and provides more comfort and safety for the patient. Can be used by one or two professionally trained people for reseating a patient, transferring (between bed, commode, wheelchair, etc.) or standing a patient up from a seated position. Made of high strength but flexible plastic that conforms to the patient's body. 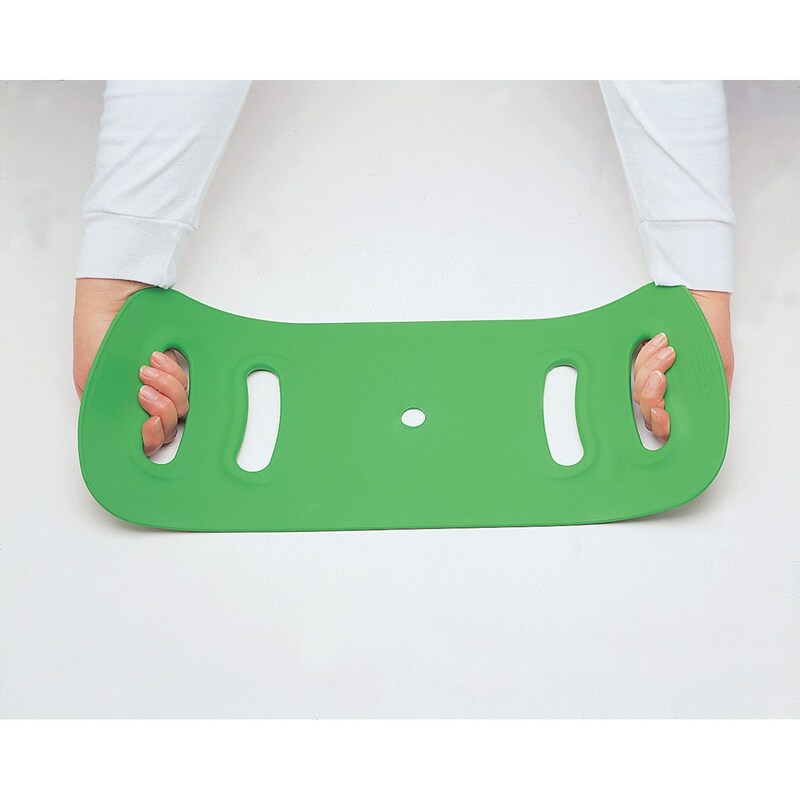 Two sets of hand grip holes provide the attendant with flexibility in lifting various sized patients. Made of polyurethane. Measures 20-1/2 x 8-1/4" (52 x 21 cm).